I love Disney, probably thats not a new news among people I surround myself with. Jadi waktu tanggal 9 December lalu aku mendapatkan invite dari Ramayana untuk menghadiri their first collection launching in collaborations with Disney. Begitu aku mendengar kata Disney aku langsung meluncur ke acara. Ramayana Depok is where the launching commenced. At first I was a little sceptical honestly on how this collaborations collection would look like, but DAMN it is darn cute! and what's good about it it is SOO GOOOD with value a.k.a cheap. I wish they do come up with a wide range of sizes tho. The event started by us posing all together as a blogger and the second part of the event is the most exciting! we got three voucher with Rp 300,000 in value and we have to find a head to toe outfit that screams out our personality. Oh boy, I did not find it hard in Ramayana as they are super good in value and the options was surprisingly wide! the only problem was just finding the right size for me body. I finally got everything in hand and it's time to compile all of my clothes together. It came out like this. I know you can't really see it, CAN'T help it! The T shirt is from Disney x Ramayana collection. The dress came from Zaskia Mecha collection. I had much fun that I haven't been in ages, especially meeting up with new blogger makes me excited meeting out with new friends of the same profession. Thank you soo much Ramayana for inviting all of us ! I can't wait for next Ramayana collaborations, hopefully it will be Pixar > ___ < ! For anyone who haven't see their collection yet. Do check it! you won't regret it! when else can you purchase a super cute Disney stuff but it's wallet friendly. 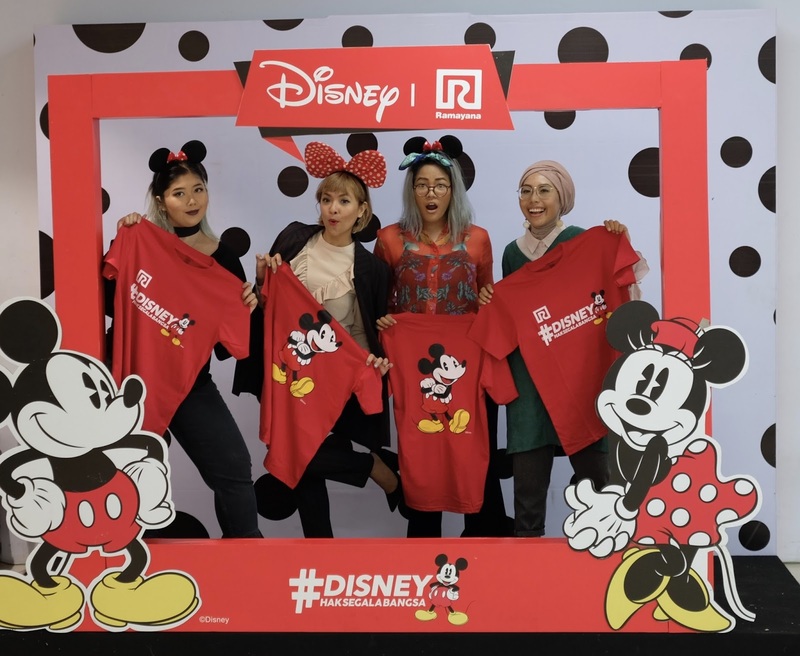 INDEED #DISNEYHAKSEGALABANGSA EVERYONE GET'S A DISNEY, YOU GET A DISNEY! This entry was posted on Thursday, 22 December 2016 and is filed under Event,Ramayana. You can follow any responses to this entry through the RSS 2.0. You can Comment.